Australia can break the impasse in combating Aboriginal and Torres Strait Islander disadvantage by identifying and emulating elements of success, instead of constantly focusing on failures to deliver meaningful change. This is the key finding of a landmark report into the social and emotional wellbeing of Indigenous youth, released at a UNSW research symposium on October 10 2013. UNSW’s Muru Marri, which looks at Indigenous health and wellbeing, set out to learn from successful public health programs, systematically isolating and analysing the key factors in achieving real progress, to create a blueprint for policy makers, service providers and Indigenous communities. The report – The Social and Emotional Wellbeing of Indigenous Youth: Reviewing and Extending the Evidence and Examining its Implications for Policy and Practice – identifies the importance of tapping into knowledge from Aboriginal and Torres Strait Islander communities to deliver effective and sustainable youth programs. The work, commissioned by the former Commonwealth Department of Families, Housing, Communities and Indigenous Affairs, includes in-depth case studies, with six outstanding programs across Australia informing the report. Researchers found the programs shared common processes such as addressing the cause of poverty and other determinants of health as well as current issues; building on the strengths of culture, community and family; using a ‘bottom-up’ approach; and recognising the importance of leadership from Elders. The report’s lead author, UNSW Associate Professor Melissa Haswell, says the study affirms that programs that authentically embed Aboriginal ways of being and doing could assist youth to achieve profound changes in their life trajectory. “Based on the evidence in this report, guided by Aboriginal communities themselves, we have to ask ourselves as a society ‘What do we really want for our disadvantaged youth … how committed are we to making appropriate resources available to close the gap in youth opportunity and potential?’” she said. The Fifth Annual Research Symposium, hosted by the School of Public Health and Community Medicine brings together UNSW, local and international experts on Indigenous public health, including Patricia Anderson, Chairperson of the Lowitja Institute, Professor Michelle Chino, University of Nevada, UNSW’s Professor Lisa Jackson Pulver and other leading researchers from Muru Marri and the School, the Centre for Primary Health Care and Equity, the National Drug and Alcohol Research Centre and the Kirby Institute at UNSW. When it comes to improving Indigenous health, what works? Given their numbers and the billions of dollars spent on them, it is surprising how little is known in the wider community about the support programs which work in Aboriginal and Torres Strait Islander communities. More important, why they work has rarely been studied. That gap in health research has now been addressed substantially with the release of a report, The social and emotional wellbeing of Indigenous youth. The report is the result of years of work by Muru Marri at the UNSW at the behest of the former Commonwealth Department of Families, Housing, Communities and Indigenous Affairs. Too much bureaucratic effort and media attention in Indigenous affairs has focused on the negative: how government programs and policies can fail and why, how resources can be wasted and lives broken. The constant negativity only reinforces the harm being done to Indigenous people. This report takes the opposite approach. It seeks – at long last, most will say – to identify what exactly makes good programs succeed in supporting and enabling Aboriginal and Torres Strait Islander peoples to thrive and succeed. Six programs, from Sydney, regional NSW, the Northern Territory, Queensland and South Australia, which have been working successfully for extended periods are analysed in detail, and the factors essential to their success identified. The report was released on Friday at the University of NSW’s fifth annual symposium on Indigenous health research, Dreaming up the future of Aboriginal and Torres Strait Islander public health. From analysing the six projects, the researchers identified a series of factors critical to success. The projects all did these things – though how they did them sometimes differed in ways appropriate to each one. The report groups the factors in four concentric layers: from the centre, the way an individual program relates to individual clients, outwards to a program’s sustainability, then to its ability to grow, and last to the outermost layer, the attitude of society as a whole to helping its marginalised members reach their full potential. Indigenous ways of acting and being are crucial to success. fun, creative, enjoyable, inspiring interactions. But she says, though they may seem obvious, they can get lost – as the fate of less successful programs shows. A keynote address to the symposium from Pat Anderson, chair of the Lowitja Institute, made the case that racism has played a central role in undermining the health system’s performance for Indigenous Australians. Another keynote speaker, Professor Michelle Chino, from the University of Nevada, Las Vegas, described the health and other challenges facing Native Americans as the result of their history of dispossession and neglect or oppression – challenges which the audience will have recognised only too well from the Australian experience. My own keynote address covered the many pathways to understanding and progress in Aboriginal and Torres Strait Islander health. The symposium heard of progress on the Gudaga study – a longitudinal study of Aboriginal children in the Tharawal community in south-western Sydney, which after eight years has now evolved into three separate studies, of crucial importance in understanding the link between early life experience and the transition to school for Indigenous children. Associate Professor Elizabeth Comino told a seminar session of the lengthy and careful process behind the study – the time taken to win the confidence of the community, involving its members and particularly the mothers participating in the study in decisions about the research. cardiovascular risk among Aboriginal and non-Aboriginal smoking male prisoners. A panel discussion, chaired by Pat Anderson with five other participants (including this writer) discussed issues facing the Aboriginal and Torres Strait Islander public health workforce. The list illustrates the strength and the breadth of the research effort now under way into Aboriginal and Torres Strait Islander health at the UNSW. But their impressive variety and wide scope should not divert attention from the truth at their core. In the papers, in the panel discussion, and in the Social and Emotional Wellbeing report, one theme stood out: the central importance, when researching Aboriginal and Torres Strait Islander phenomena, or devising programs with Aboriginal and Torres Strait Islander people, of valuing, and basing all work on Indigenous ways of learning, knowing and being. Without that solid foundation, effort and resources will continue to be under-utilised appropriately. Tangible progress is being made and there are positive signs in some health indicators. For example, the reduction of mortality rates for Aboriginal and Torres Strait Islander children under five. However, this program stretches out to 2031 and much work remains to be done. Now is not the time to pull back on either funding or effort. Within the space of a week in February this year Prime Minister Julia Gillard made two key parliamentary addresses focused on her Government’s commitment to Aboriginal and Torres Strait Islander people: the fifth annual Closing the Gap Statement, and her debate speech introducing the Act of Recognition into the House of Representatives. Both speeches were notable for the bipartisan support they attracted from across the political divide, reflecting the building groundswell of national support for improving the lives of Australia’s First Peoples and achieving lasting reconciliation. Given this, it seems anomalous that the Lowitja Institute – Australia’s only Aboriginal and Torres Strait Islander organisation with a pure focus on facilitating research into Aboriginal and Torres Strait Islander health – should find itself under threat of closure. First, a brief history: the Institute traces its origins back to the foundation of the Cooperative Research Centre (CRC) for Aboriginal and Tropical Health in 1997, which was followed by the CRC for Aboriginal Health in 2003 and then the CRC for Aboriginal and Torres Strait Islander Health (CRCATSIH) in 2010. The Institute was established in 2009 initially as the host organisation for the CRCATSIH but with the ultimate aim of becoming a permanent facilitator of research into Aboriginal and Torres Strait Islander health when CRC funding expires in June 2014. And herein lies the dilemma. Under the rules governing the Commonwealth’s CRC program, no CRC can be funded for more than three terms – and so there is no possibility of further allocations to the Lowitja Institute’s hosted CRC. Knowing this, the Institute also put in place a clear strategy to seek funding for a permanent institute beyond 2014 from the private and philanthropic sectors. However, in 2009 not many foresaw the severity or extent of the international financial calamity of 2008 and the implications this would have for budget bottom lines, and thus for fund-raising. Despite this, our representations to government to secure ongoing funding continue in earnest and we are confident we will ultimately succeed in establishing a permanent and independent future for the Lowitja Institute. Over the past 16 years we have provided vital financial and in-kind support to more than 200 research projects focused in areas such as chronic conditions, the social determinants of health and primary health care. To cite just a few examples, this research effort has led to new ways of treating scabies (a prime causative factor in rheumatic heart disease), new approaches to the provision of mental health care in remote communities and the establishment of a network of more than 200 health centres across Australia using innovative continuous quality improvement tools and techniques. Our work has contributed to the setting of Closing the Gap health goals, especially in the area of chronic conditions and tobacco consumption. For instance, a Showcase we helped organise at Parliament House in Canberra in 2008 influenced the Federal Government’s subsequent decision to invest $100.6 million in its Tackling Indigenous Smoking strategy. Most recently, our support has contributed to the establishment of a National Indigenous Cancer Network (NICaN) and a Centre for Research Excellence in Aboriginal and Torres Strait Islander Cancer, and our funded research continues to inform the Closing the Gap program. The Lowitja Institute is currently funding a range of projects across three program areas, including the clinical trial of a Streptococcus vaccine, a study of Aboriginal child mortality in Victoria, a national appraisal of CQI initiatives in Indigenous primary health care and a review of government efforts to improve funding and governance arrangements for providers of primary health care in Aboriginal and Torres Strait Islander settings. Just as importantly, our early work on how best to undertake Aboriginal and Torres Strait Islander health research has contributed to improvements in the way research is conducted outside the Lowitja Institute. Our emphasis on community involvement in the development and approval of research proposals has ensured that our funding is focused on community priorities, and this approach is now used widely. We believe we have, in partnership with the community controlled sector and other partners, changed the way in which Aboriginal and Torres Strait Islander health research is undertaken in Australia. We also have a strong commitment to ensuring research findings are translated into practice through knowledge exchange, principally through collaborations with our 14 research partners but also through workshops, roundtables and headline events such as the biennial Congress Lowitja. Our most recent Congress Lowitja was held at the Melbourne Cricket Ground (MCG) in November last year and was in fact focused on the twin themes of Knowledge Exchange and Translation into Practice. The conference brought together some 250 leading health researchers, practitioners, policy makers, community health representatives and others with an interest in Aboriginal and Torres Strait Islander health to share ideas and research findings. It also provided a forum for a discussion about the future of Aboriginal and Torres Strait Islander health research, and the funding shortfall confronting the Lowitja Institute. As a result of this discussion, Congress delegates drew up a short statement outlining the key role the Lowitja Institute and its predecessors had played in the Aboriginal and Torres Strait Islander health sector. This ‘MCG Statement’ calls on the Australian Government and all political parties to commit to the ongoing funding of the Institute, noting that just 1 per cent of the National Health and Medical Research Council’s $800 million recurrent budget ‘would double the current funding to the Lowitja Institute’. We feel confident that our efforts to secure government funding will be honoured, and we can continue our vital work. 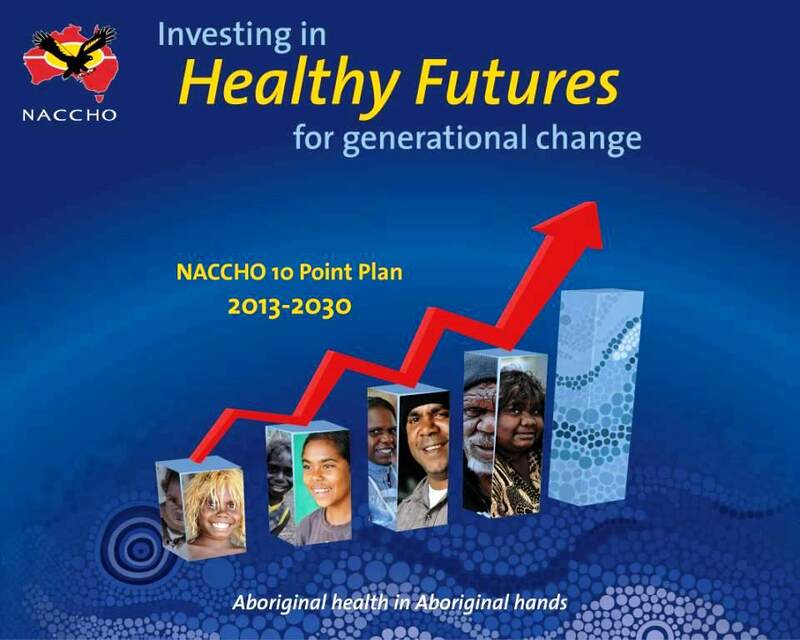 Our proud history as an Aboriginal and Torres Strait Islander-led health research organisation is too important to forego, and we trust that with the support of our health sector peers we will be able to continue to making a significant contribution to the health and wellbeing of our people. To read the MCG Statement in full, to see how others view our role in the health sector and to register your support, please click here.